Blockbusters don't usually have strong ties to public funding. Les Mis is an exception. Here is a thing it is difficult to remember in the midst of its box office tidal wave: Les Misérables owes its birth to a debate over public arts funding. 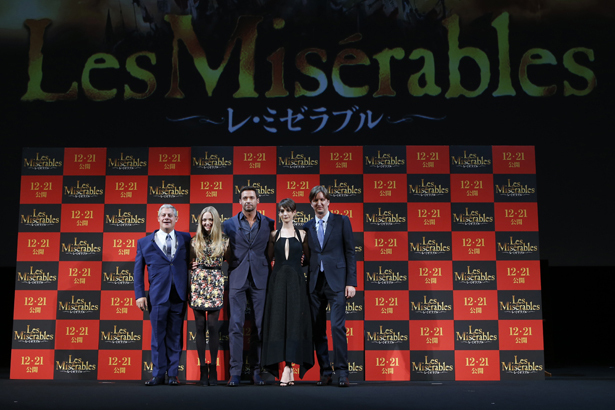 We think of blockbusters as antithetical to the high arts that public funding might typically support, but in Les Mis’s case, at least, the relationship was symbiotic. Some might say parasitic, of course, but the story reveals that we don’t quite know who was leeching off of who. Les Misérables was originally staged in 1985 under the auspices of the Royal Shakespeare Company, a large portion of whose budget was provided by the English Arts Council. It wasn’t the RSC’s idea to develop it, mind you. Cameron Mackintosh, a private producer coming off a wave of success with 1981’s Cats, had been looking to put on an English version of the musical, which was developed and staged in Paris in French. Mackintosh wanted a good director for it, and found himself knocking on the door of Trevor Nunn, then the RSC’s co-artistic director. Nunn and his co-director, John Caird (then an RSC associate director), substantially overhauled the plot and the script. They also gave the production what was, until the emaciated cheekbones of Anne Hathaway entered our collective consciousness, the musical’s signature image: the revolving stage. In other words, the look and content of the show were developed not just with public money, but by people who had made their careers in a publicly supported arts environment. Blockbusters, onstage and onscreen, are typically seen as ego projects. Production notes present a narrative of the great director who wants to implement his vision. Nunn, however, clearly had his eye on another prize altogether. As a condition of agreeing to direct the show, Nunn insisted first that it be an RSC production, then that the casting be at least partially drawn from the company and, third, that Caird be his co-director. Those demands, small though they might seem, were crucial: the fortunes of the company with the immense, huge fortune generated by the musical itself. By late 2012 the company’s then–artistic director, Michael Boyd, reported that the RSC had taken in about £19 million in royalties. It’s a small sum, of course, when compared to the overall intake of a musical whose ticket sales alone have garnered something like $1 billion. And one imagines Mackintosh’s cut, let alone Nunn’s personal royalty, rather larger. Still: the point is that the RSC made its money back, and then some. And that’s not even to cover the income stream something like the original cast recording made for those RSC actors who got to participate. What is remarkable about the skepticism, in retrospect, is that Nunn’s response—to find the RSC a source of revenue in this kind of public-private partnership in the arts—did not come out of nowhere. Nineteen eighty-five, the year Les Misérables was produced, was smack in the middle of the Thatcher era. Cuts to arts spending were immense. And perhaps more importantly, as detailed by a British theatre scholar, Baz Kershaw, Thatcherites rhetorically positioned as a “democratic” obligation the idea that public-sponsored culture should serve, well, the public. Those theatres that did not see their budgets cut altogether by Thatcher had to realign their priorities. In that light you can see Nunn’s decisions two ways. Either he is indeed a terrible sellout who used his position with the RSC to “incubate” a blockbuster—after all, Les Mis could have failed, too, and the RSC never made the money back—or he rescued the RSC from its death at the hands of the government. In either event, the point remains that neither the RSC nor Les Mis would be what they are today without the other. Though in part I agreed with him—I am just not a person who loves musicals, and I also find Les Mis’s pageantry of poverty curiously bare of any real sense of class—I bristled a little bit at the dismissal. In the theater where I watched it there were people actually crying during Hathaway’s big solo, people who had clearly grown up on and loved the stage production. As someone with affections of my own for certain items of “low” culture—Star Wars leaps to mind—I do not find the similar attachments of others particularly worrisome. In a culture where the low end falls somewhere below Keeping Up With the Kardashians, it’s hard to get that worked up about the sentimentalities of Les Mis. And yet sanguinity would be a bit easier if it were not the case that the money the public is still willing to spend on these big piles of Oscar bait didn’t basically disappear down a drain. Public arts funding has been out of style in this country since at least the Clinton era—most grants these days come from private philanthropy—but a slightly more hybrid funding environment might at least get us some alternatives to the blow-’em-up du jour. There are no guarantees in art, of course. A publicly funded entity will not necessarily make better, riskier art with the profits from a crowd-pleaser. But even a passing thought of Hollywood investing its profits that way borders on absurd. Those so very concerned about the decline of “American taste” ought to at least consider that. In a new video, activists are calling for révolution mondiale against gender violence.